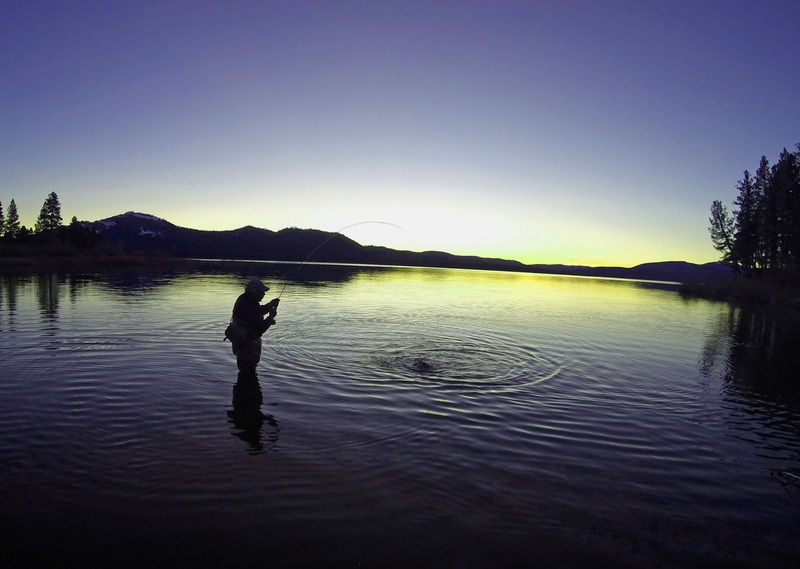 Lake Davis has long been considered the best public still water for fly fishing in all of Northern California. The lake sits at an elevation of 5,885 feet in a setting of a coniferous forest, mixed with willows, aspens, cottonwoods and meadowlands. Most of the west shore is shallow and offers fertile flats and expansive weed beds that make stalking trout from the shoreline so incredible. On the east shore, deeper water exists where you can find the Grizzly Creek channel that lies parallel to the lake. This lake has one of the biggest bio masses in the entire state of California, and because of such, aquatic insect hatches can be profuse here. The beauty of Lake Davis is amazing, as is the wildlife and birds. Rainbow trout average 18 to 20 inches and display abundant girth; using 6- to 8-pound tippet and strong knots is a must to prevent breaking one off. Lake Davis is for fishing only – there is no water skiing or Jet Skis allowed. The best times for the fly angler to visit are right after ice out at the end of March, and mid-May through the first weeks of July. During this time, the famous damselfly hatch commences where resident rainbows will cruise the shallow water, eat nymphs as they migrate to the shore and hatch into adults. The damselfly hatch offers sight fishing at its finest – like fishing the flats in the South Pacific – and casting to moving targets. Another short-lived phenomenon that occurs in early spring is the flying ant hatch, where the rainbows come to the surface and gorge themselves when the wind blows this source of food from the forest to the water. It pays to have some carpenter ant patterns in your box during this time, as one never knows when the hatch will happen or how long it will last. Also during spring, there are blood midge hatches, several different species of chironomids and callibaetis mayflies. When June arrives, during the last hour of light magic happens with a special hatch. The hexagenia is the biggest mayfly in North America; they are a vivid yellow in color, with females as large as a size 6, and males at a size 8. These big bugs bring trout to the surface and offer exciting dry fly fishing. 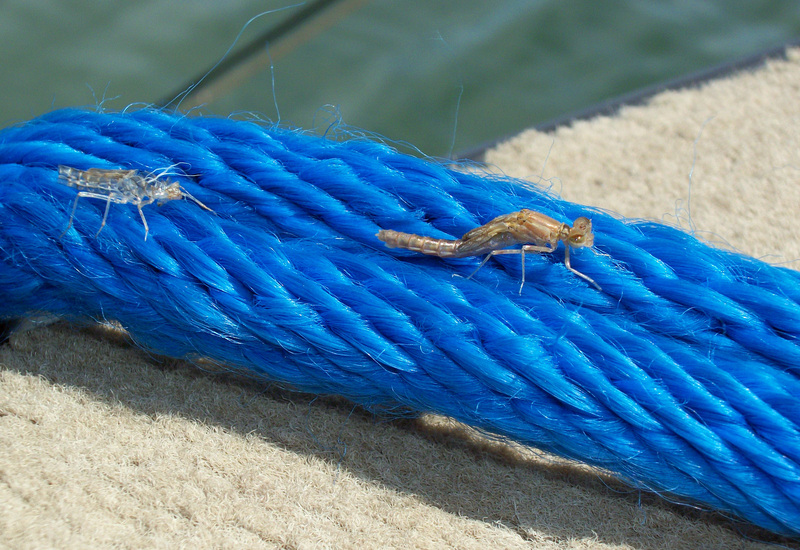 Unlike Lake Almanor, about 90 miles northwest of Davis, making presentations with nymph patterns is fair at best. The rainbows prefer the emerger and the adult on the surface. 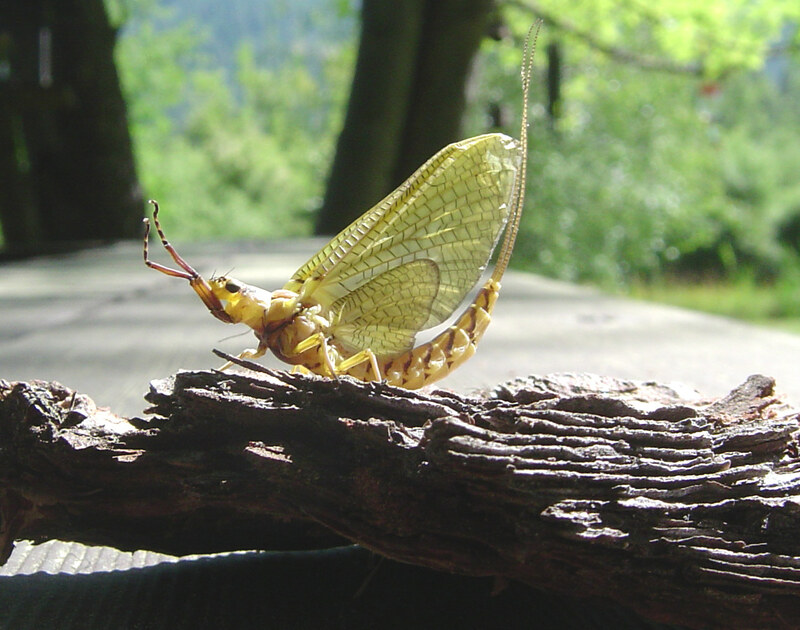 The hexagenia mayfly appeared in Lake Davis only four years ago and it appears they were blown in from Lake Almanor, Mountain Meadows Reservoir or Antelope Lake, which all hold good populations of the hex. These new inhabitants have thrived since then due to the perfect habitat the nymph relies on to make its burrows, mud and clay. It’s safe to say they will be permanent residents of Lake Davis and a part of the ecosystem. As summer approaches and water temperatures exceed 70 degrees on the surface, the trout head for deeper water near productive weed beds and dropoffs. The one food item that has not been as prolific of late is the freshwater snail. In my opinion and from observations on the lake, the two rotenone treatments of 1997 and 2007 to eradicate illegally introduced northern pike affected the snails. When a lake is killed off and must begin again, the entire ecosystem is changed and unbalanced. There are still snails in Lake Davis, but not nearly in the numbers that were found pretreatment. 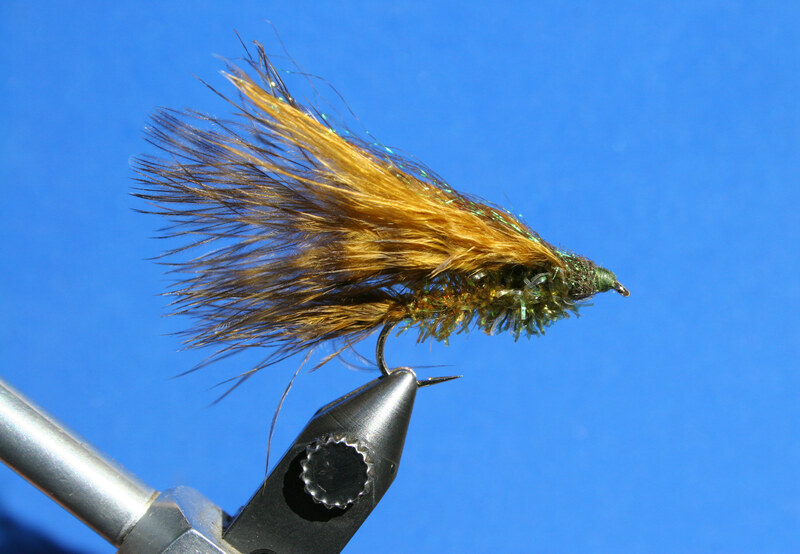 Bulging crunchy trout bellies in the fall are a thing of the past, though we could see a change for the better in the future. 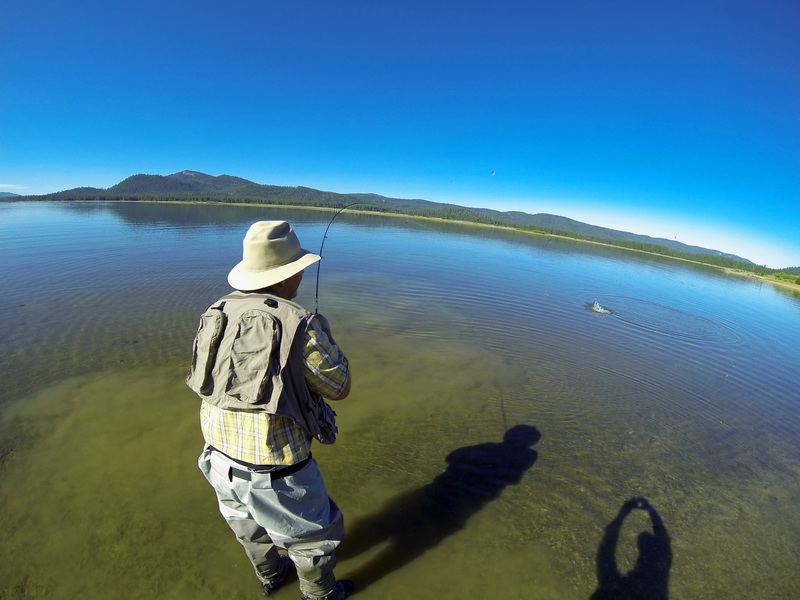 The other key time for the fly angler to visit is September through mid-November, when the water temps become too cold and winter takes over as the lake starts to freeze up. September can offer some incredibly good dry fly fishing with the last brood of blood midges hatching for the season, along with the return of the callibaetis mayflies. During autumn the trout reappear in the shallows and gorge themselves to fatten up before winter. 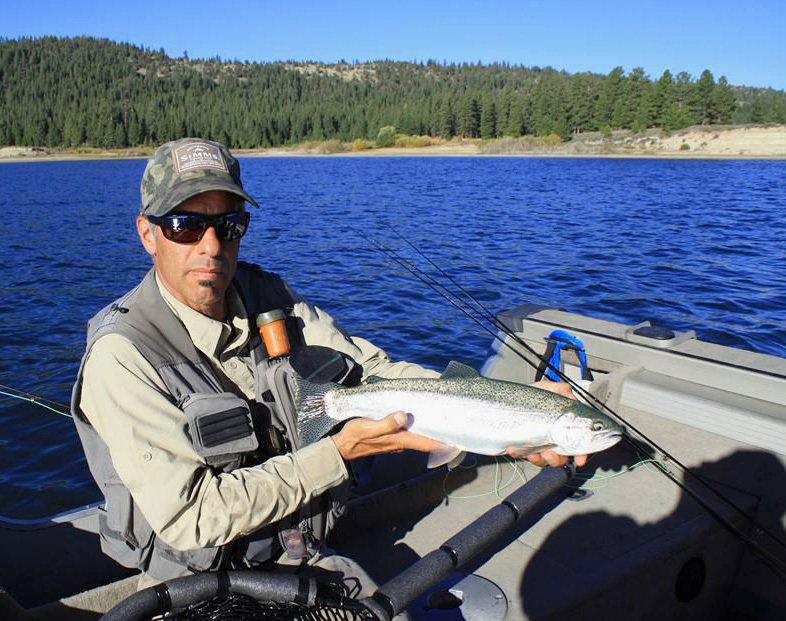 October is usually the peak of the fall fishing and when the rainbows will stay in the shallows for longer periods of time. Also during this time the aspens, cottonwoods and willows blaze with glowing fall color making for spectacular back drop while hooked up. 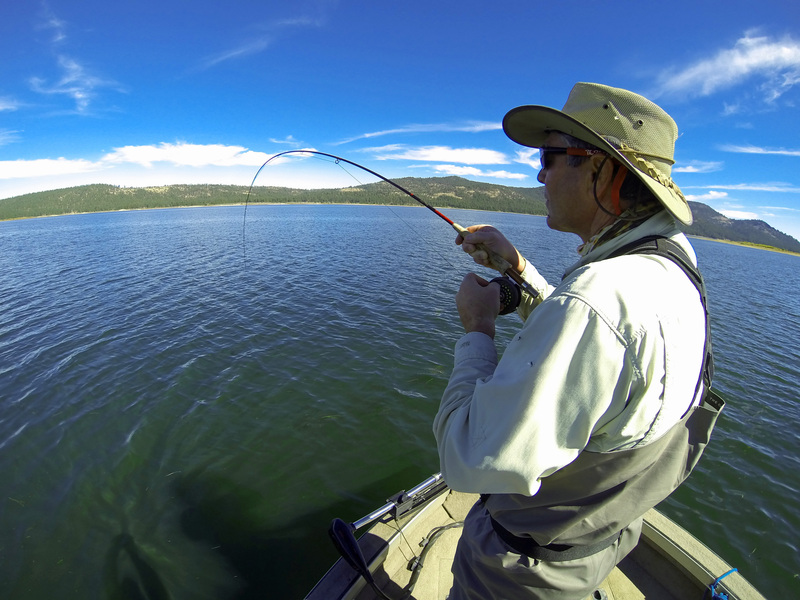 The most effective way to fish this still water is by a personal watercraft, where you can either fish deep or skinny water or have the availability to get out and fish the shoreline. Stripping flies slowly with pauses will result in success as long as you are presenting your flies at the correct water depth. The trout graze like cattle and move slowly like the aquatic insects they are feeding on. Using a strike indicator is a very effective method at Lake Davis while hanging midge patterns underneath. Early morning is best to present your flies close to the bottom, and as the hatch progresses, having your flies 3 to 5 feet down below the water’s surface will target the upper water column where the trout will be. If the opportunity exists, presenting dry flies is the most sought after game, especially if you have active rising fish to cast amongst. When casting to a working fish, figure out their intended path and softly place your dry fly at least 3 feet ahead of them. To able to see the take is the most fascinating aspect of fishing the dry. 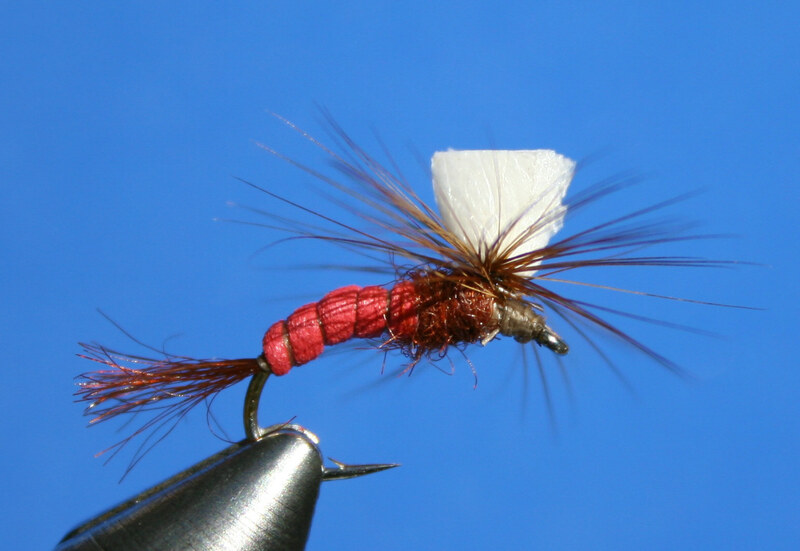 Must-have fly patterns include the Sheep Creek Special, Jay Fair Wiggle Tails and Wooly Buggers in brown, olive, black and burnt orange, Pheasant Tail Flashback nymphs, and the Albino Wino midge pupa. For dry flies, Blood Midge emergers, Adams Parachutes, the Martis Monstrosity, RS ant, and Parachute Midge emergers are the most effective. No matter what season you choose to visit, Lake Davis offers a variety of different ways to catch these large rainbows that will please any fly angler. Besides great fishing, the lake has excellent campgrounds, access areas, hiking trails, single-track mountain bike trails and the opportunity to kayak into the secluded coves for wildlife viewing. If you have never been to Lake Davis, it’s time to make a plan and visit Northern California’s legendary still water.